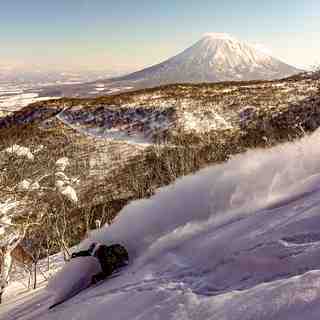 Located in the southwest corner of Japan’s northernmost island of Hokkaido, Niseko receives an average annual snowfall of 14 metres of extremely light, dry powder snow and is one of the largest resort areas in Japan. 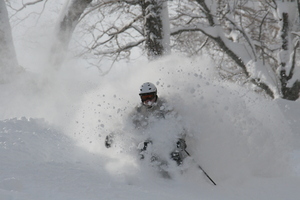 Niseko Hanazono Resort is part of the Niseko United group and lies on the north eastern side of Mount Niseko Annupuri, offering an abundance of extra dry powder and access to massive off-piste / back-country areas. Niseko Hanazono Resort lies 1,000 metres below the spectacular peak of Mount Niseko-Annupuri, offering over one vertical kilometre of stunning snow. Hanazono’s spectacular location offers sweeping views from the peak including a breathtaking panorama of nearby Mount Yotei- the Mount Fuji of the North - and a surprising glimpse of the Sea of Japan. 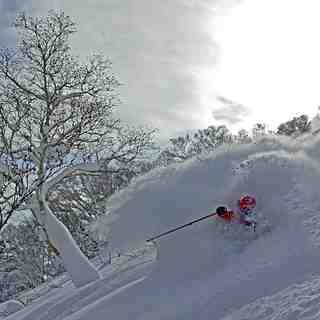 Hanazono offers a huge variety of terrain for skiing and riding at any level. Beginners will appreciate the two covered Magic Carpets, up to 125m long and confident beginners can progress to the hooded quad chair and the 3.3km long Silver Dream Course. For experienced skiers and riders, enjoy wide open cruisers, challenging groomed runs and powder runs including the famous Strawberry and Blueberry fields. 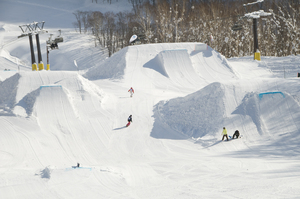 Niseko Hanazono Resort also boasts the largest terrain park area in Hokkaido with three separate areas, the beginners park, jib park and the Hanazono Main Park which includes two lines for intermediate and advanced riders. 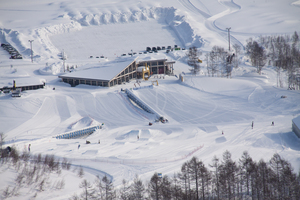 Hokkaido’s only FIS approved halfpipe and the bagjump complete the line up for freestyle riders. Niseko Hanazono Resort is connected to the other resorts of the Niseko United area (Annupuri, Niseko Village and Hirafu) at the top of the mountain and by the Hanazono shuttle bus system (transport is free with an All Mountain lift ticket). Summer officially kicked off at Hanazono on Saturday June 22 with the opening of the Hanazono Activity Centre. Our new activities include the BagJump Free Drop - Japan’s first, experience a few seconds of free fall as you throw yourself from the 8 or 12 metre platforms and land softly in the massive air filled Bagjump. It's time to start planning your next Japan Winter holiday. Book by August 31st and save 30% on shoulder seasons Nov 22nd – Dec 20th and March 1st – April 20th.